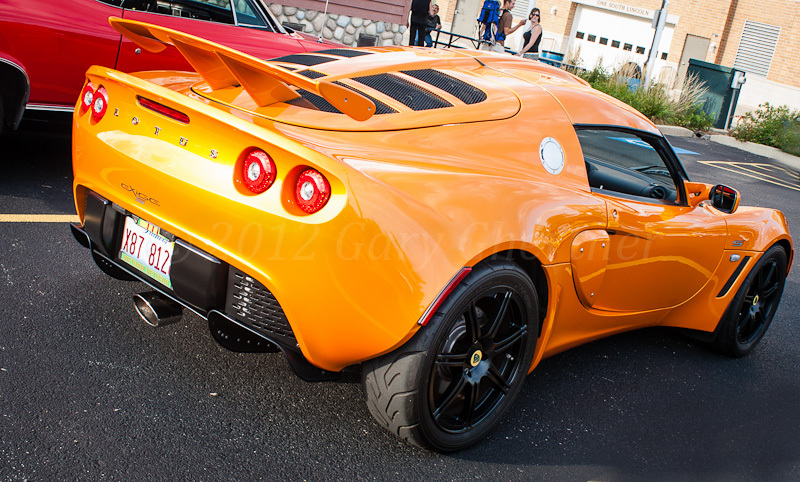 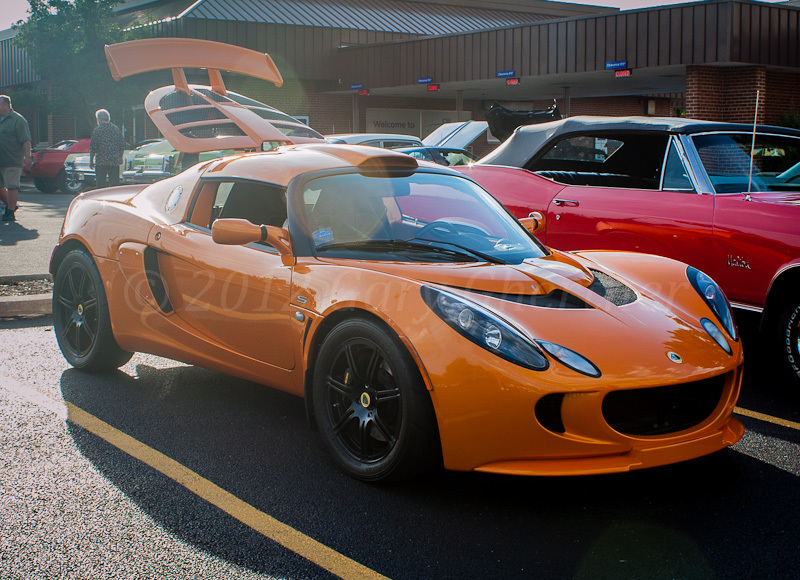 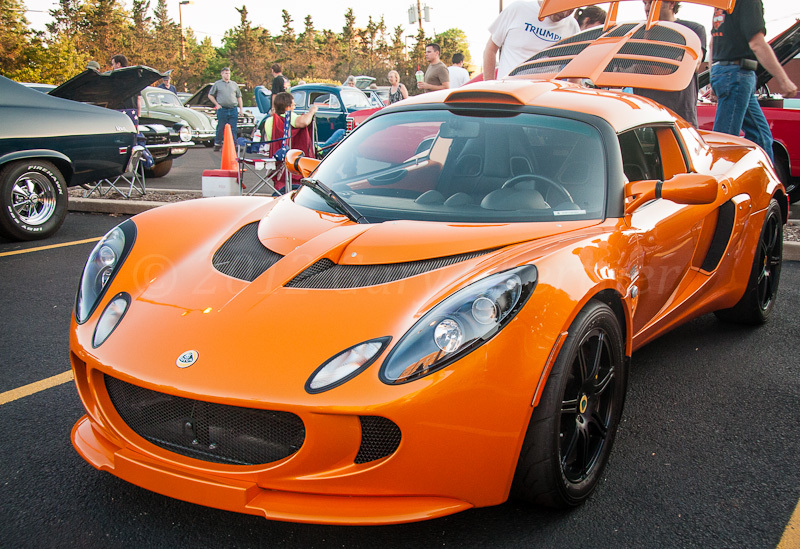 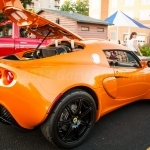 The burnt orange auto is a 2008 Exige S and the gray one is a 2006 Elise. 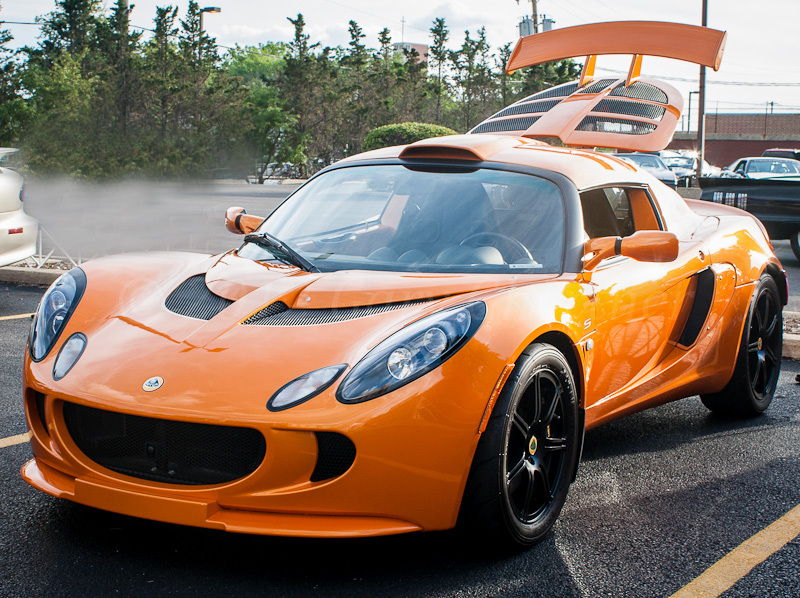 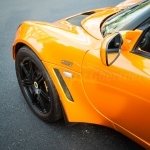 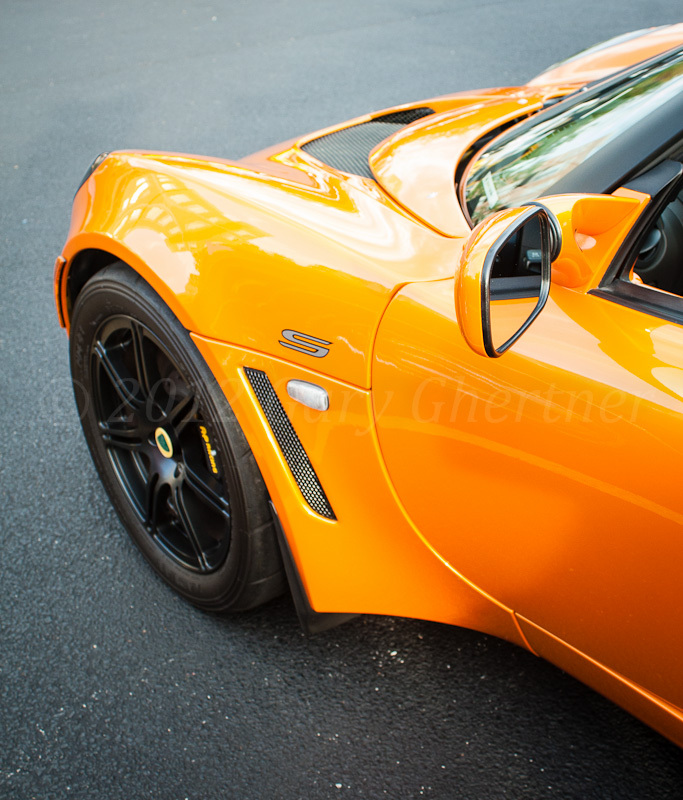 The orange Exige S 240 (240 is the model and the horsepower) is a twin-cam 1.8 liter supercharged (with intercooler for the air mixture) machine. 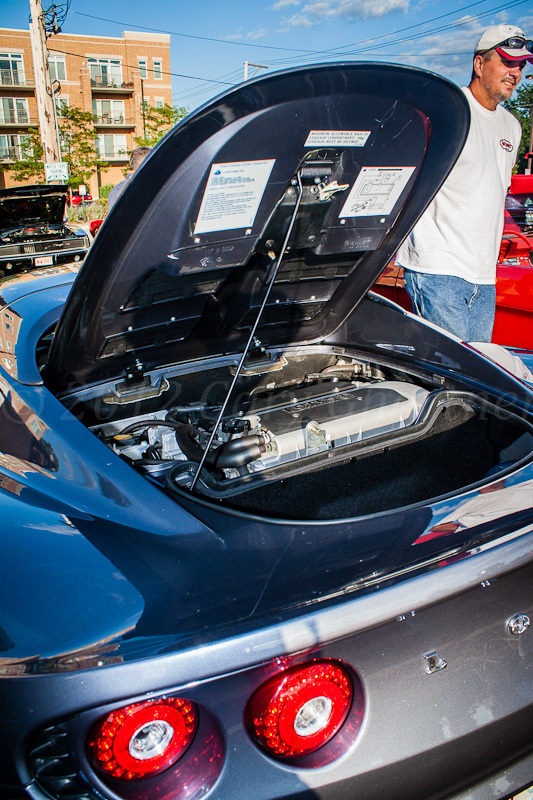 The motor is the Toyota Celica GTS powerplant. 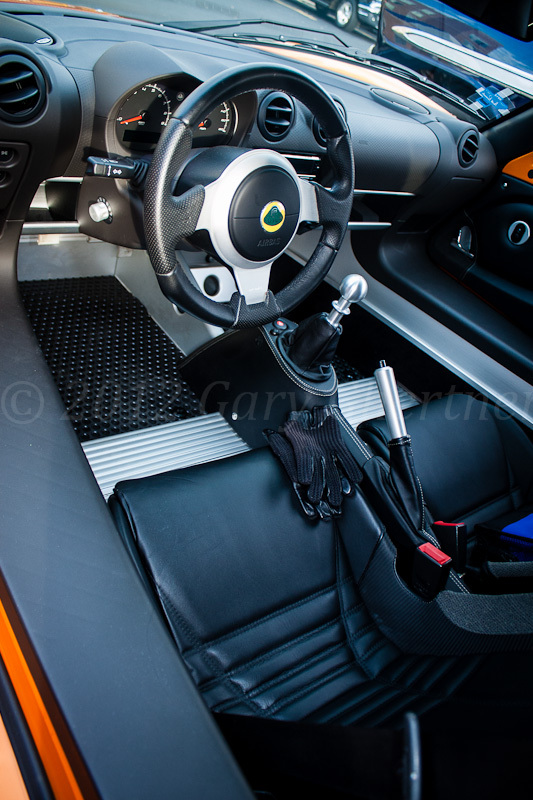 The cockpit is a 150 pound aluminum tub (glued together with aircraft glue) , around which the car is built. 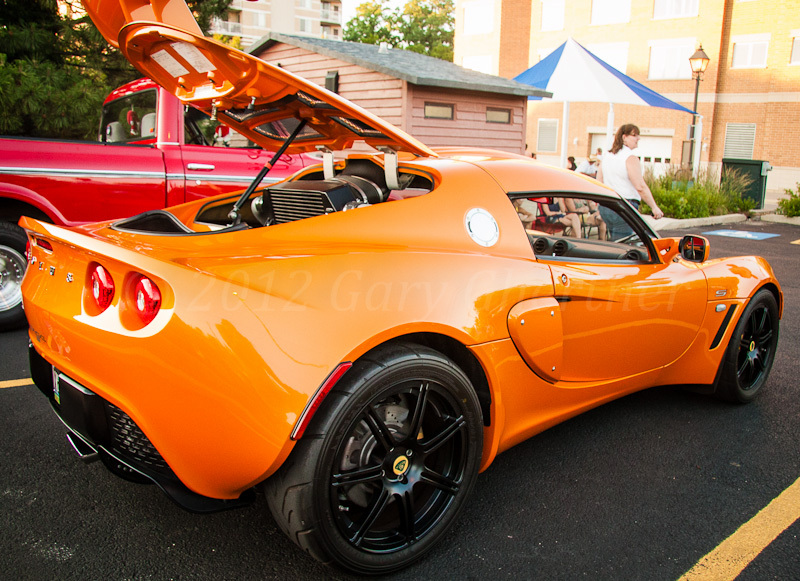 In 2008 Russ had a 2006 Elise and when he took it to the Lambo dealer in Westmont for repair, they gave him this orange car as a loaner! 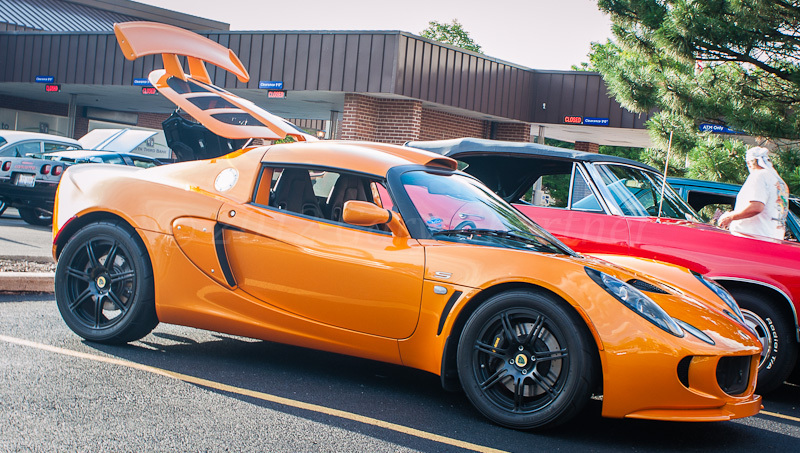 He wanted the car with the supercharger (wouldn’t you ?). 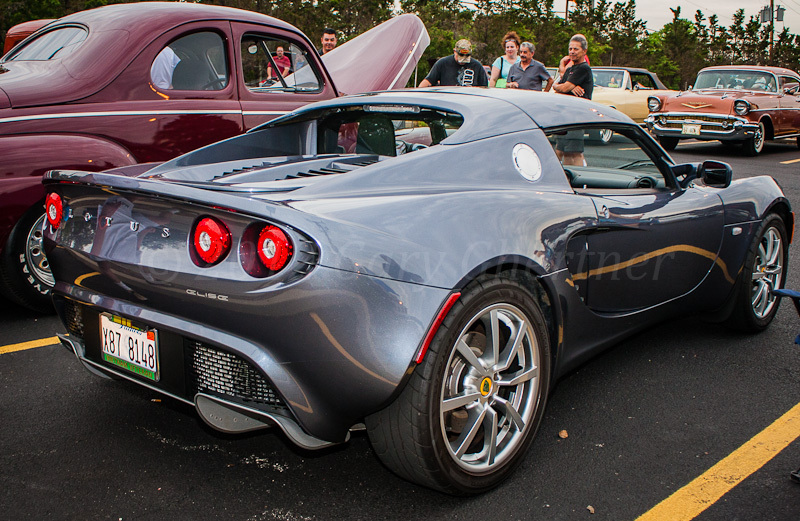 Both use Toyola engines. 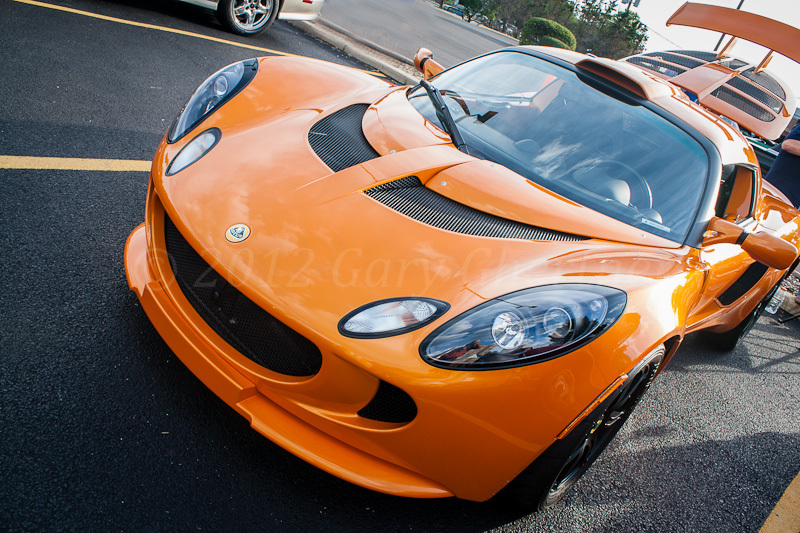 Only 156 of the Exige S 240 S were ever produced. 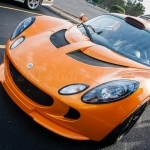 He does like Lotus automobiles as he owned seven over a thirteen month span; the most at one time was three. 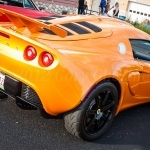 Additionally he has another Exige S 240 with only a thousand miles; that’s a ‘cream puff’ and it “doesn’t get out much”. 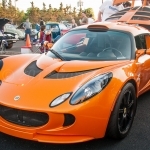 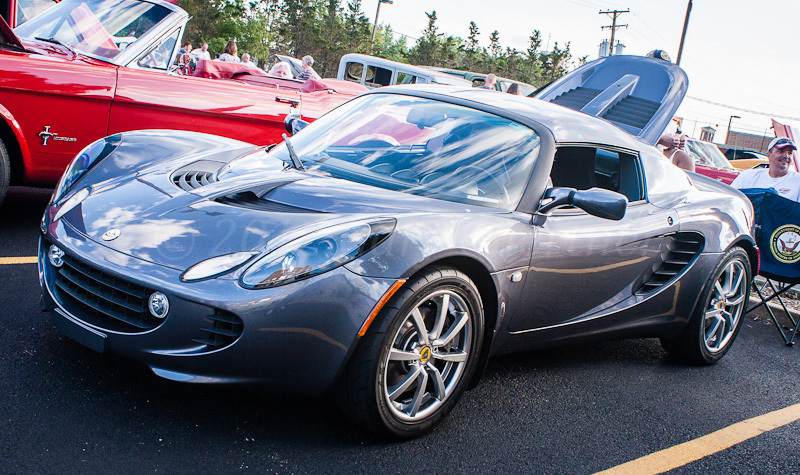 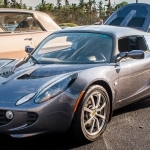 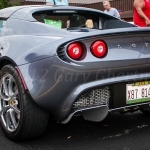 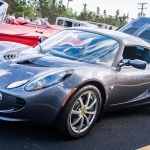 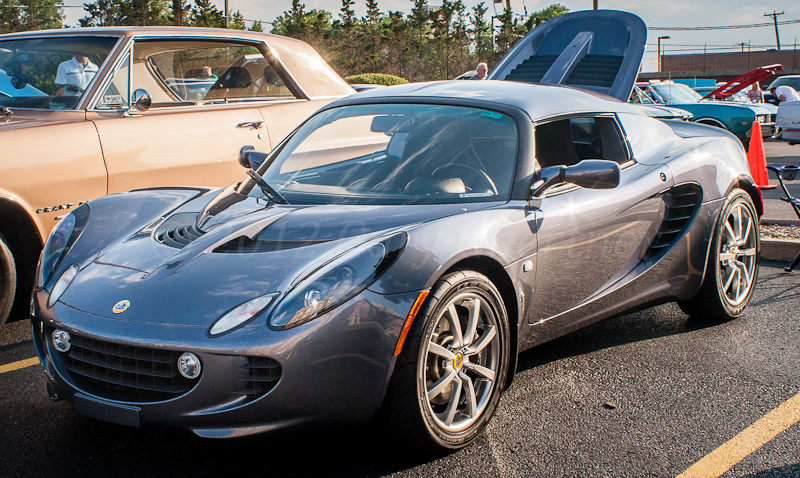 Lotus had been given a grace period to meet Federal USA crash test standards but management made a decision in 2011 to discontinue manufacture of Elise and Exige models rather than comply.